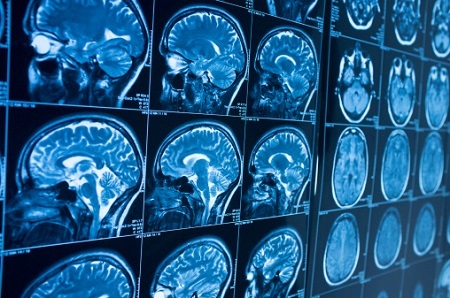 The time taken for radiology scans to be analysed and the results reported back to doctors varies widely across England, according to a new review by the Care Quality Commission. Delays in reporting of results from x-rays, CT and MRI scans could be affecting patient care, the report concludes. This includes putting patients at risk if their scans were not reviewed, as well as extending waiting times for cancer diagnosis and treatment. The delays are partly down to a shortage in radiologists, according to the report. Sara Bainbridge, policy manager at Cancer Research UK, called the review’s findings “extremely worrying”. “Radiology scans are crucial in diagnosing many cancer types, so it’s vital that results are reported quickly. It's extremely worrying that this inquiry found that patients were not having their scan interpreted by a specialist at all, or had to wait a long time,” she said. The CQC, an independent regulator of health services in England, launched a national review into radiology services after serious concerns were raised around radiology reporting in three NHS trusts. The review covered all radiology services, not just those related to cancer diagnosis or treatment. It asked all health trusts in England to reveal their targets for how quickly scans were analysed, and how they dealt with a build-up of scans during busy periods. The review found a huge variation in the deadlines each NHS trust set for reporting on scans. In one trust, scans requested by A&E must be reported within an hour. In another, it’s two working days. The differences were also seen for patients who were referred by their GP or consultant, where timescales ranged from five to 21 days. The report also found wide variation in how hospitals planned to deal with the backlog of scans that had not been analysed, which could lead to delays in patient care. This lack of agreed standards across different NHS trusts in England was raised as a concern by the CQC. Following the review, the CQC has called for deadlines to be set across the country for reporting scans results. “We are calling for agreed national standards to ensure consistent, timely reporting of radiological examinations,” said Professor Ted Baker, CQC’s chief inspector of hospitals. Dr Nicola Strickland, president of the Royal College of Radiologists, said that while the idea of national standards is commendable, whether they can be maintained in practice is another question. "The underlying problem remains - without more radiologists to provide imaging expertise in our hospitals, backlogs will continue and patients will suffer." "We know that radiology departments are short-staffed so this is part of the reason why we’re seeing delays,” said Bainbridge. She said that the new long-term plan for the NHS, as well as wider Government funding to train more staff, must focus on there being enough radiologists and radiographers to meet demand and safely report scans.